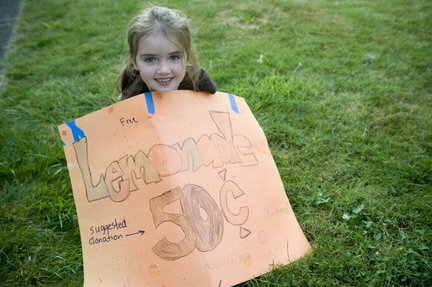 A seven year old girl wanted to sell lemonade at an event in Portland. Everything was going well until a government official came by and asked her for a $120 business license. When the little girl said she didn’t have one, they threatened to fine her $500. The little girl started crying and her mother took her home. The government officials said their intent was to “protect the public”, but in reality, it is all about COLLECTING TAXES. This event is symbolic of what is wrong with America today. Ask any business owner in America and they will tell you similar horror stories about tyrannical government control over their business. America has fallen into tyranny and slavery. America needs to have a LEMONADE REVOLT against excessive government regulation.